The origins of the British Spas Federation (BSF) can be traced to the latter part of the 19th century, however the organisation that existed until 2004 came about in the disruption caused by the Great War (1914-18). Previously spas such as Llandrindod and <?xml:namespace prefix = "st1" ns = "urn:schemas-microsoft-com:office:smarttags" />Harrogate had enjoyed ever-increasing popularity and in most instances prosperity, as the late nineteenth century saw the market rationalise into a significant number of major spas. Picture right - the book that, when published in 1982, was to mark a watershed in the history of 20th century spa evolution. The resorts offered a unique combination of medical cure and leisure in a holiday destination atmosphere. Each resort adjusted its cure regime to its unique mineral waters, on which the treatments were based. However medical science was developing and so was overseas travel. Both threatened the patronage of the British Spas and new marketing strategies were necessary to ensure survival. Before long some of the major spas such as Cheltenham showed signs of decline. Others, such as Llandrindod, found markets, innovation and fashion working to their advantage. Spa treatments lagged behind medical innovation but the pre-war resorts of Great Britain still provided grandiose facilities for the vast numbers who flocked there. For the aristocracy, gentry and the followers of fashionable society however, foreign spas offered the exotic location, climate and exclusivity favoured by the privileged. The English were important custom for the overseas resorts. What was deemed necessary was a common body to further the industry overall rather than individual resorts being left to their own, unsynchronised strategies. The British Spas Federation was not the first industry attempt to organise itself through a trade association. In 1896 there had been an earlier organisation formed by Dr Samuel Hyde to promote the merits of spa treatments as well as bringing together practitioners at the resorts. The Balneological and Climatological Society was short lived, although the extensive publications of physicians such as Sir Hermann Weber, one time President, encapsulated the merits of the industry in authoritative text. In the early 20th century spas were important tourism resorts continuing to enjoy considerable patronage being an established part of orthodox medicine and providing relief for many medical conditions. The Great War was to bring the early 20th century spa habit to an abrupt end, with the influx of between 50 and 75 thousand war wounded and invalid soldiers for treatment at the spa resorts of Britain. It also curtailed the habits of the well-off visiting foreign spas. 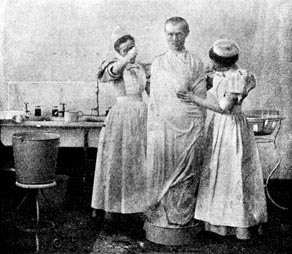 For the war wounded, new methods of treatment had to be developed and hydrotherapy was adopted in the Military Hospitals. The U.K. spas became known as the Home Spas and, although prior to the War, the idea of an amalgamation of British Spas was discussed, it was the patriotism and a common enemy that ultimately prompted unification of effort. 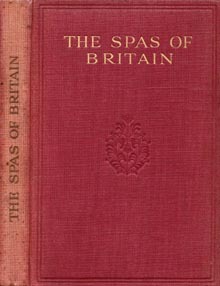 As a result the Federation of British Spas came into being, publishing its first handbook in 1916. It was subsequently ratified as the British Spas Federation in 1921. Membership of the Federation was then open to local authorities, medical trusts and private bodies. The organizational lead was taken by the British Medical Association. The BMA published a number of learned treatise and books upon various spa treatments for the benefit of medical practitioners in the UK, seminars and meeting being organised on a regional basis. In those days the Federation's objective was that it was an Association of "controlling authorities organised to discuss mutual problems concerned with methods and facilities for treatments, staffs, administration, medical attention and supervision". The Federation was also concerned with scientific investigations and research; "close association was maintained with the medical profession and university medical schools, publicity, cultural activities, and whenever possible taking concerted action in the general interest of all its members and in affiliating or associating with any other organizations.....if considered desirable.....by the Federation"
Two leading figures in the early Federation were Dr R Fortescue Fox M.D. and F J C Broome as Hon. Secretary. Fortescue Fox was a Scottish doctor who authored Strathpeffer Spa (1896) and subsequently wrote extensively in Federation guides and other publications on the merits of spa treatments and was active internationally. The charismatic Fred Broome was General Manager of Harrogate Corporation's spa facilities, following a similar post at Buxton. He was later to die in office in 1936, a sad loss to the Federation and the industry. During the 1914-18 War, the idea that everything German was undesirable provided a popular motive for promoting the Home Spas but until the cessation of hostilities the Federation had to bide its time in restoring the spas to their former glory. With the end of the War a new impetus ensued to reinstate the tourism industry of the Home Spas. The War however had taken its toll on the facilities and the post war years found the Home Spas run down and needing substantial investment. In those post war years the Federation was patriotic without doubt, but they were also, it can be argued, insular and chauvinistic, pursuing their cause in a blinkered manner. By 1920 the Federation comprised Bath, Buxton, Cheltenham, Droitwich, Harrogate, Llandrindod Wells and Woodhall, although non-federated spas and marine resorts were included in the Official Publication. Shortly afterwards Leamington and Strathpeffer joined the ranks of the federated spas, at the same time spas around the Empire started appearing in the handbooks. The debate about the inclusion of overseas spas was probably one issue that later caused Dr Fox to turn his attentions to the British Health Resorts Association. What is apparent was that the Federation was essentially a union of UK resort tourism interests and this was to have repercussions when the medical aspects of spas came under attack. 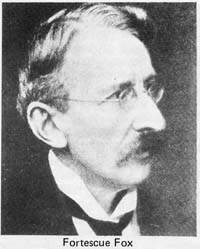 The attack came from W Edgecombe in 1925 with his paper The Principals of Spa Therapy in Great Britain (published in Proc. R. Soc. Med. 18, 2-12; see also Johnson R (1990) Med. Hist. Supp.10, 124, Wellcome Inst.). Edgecombe concluded that the extravagant claims in the BSF handbook The Spas of Britain either were unsustainable, in which case they needed urgent revision; or that if sustainable, then there was nothing truly specific about the action of treatment for any one ailment. In fact his paper followed earlier comment that the cure at a watering place depended upon factors other than water. In their enthusiasm to promote visitor numbers the BSF members had lost sight of medical credibility and the development of targeted cures for specific ailments. Such attacks needed to be addressed and by the late 1920s the Federation handbook included comment by the "Committee for the Study of Medical Hydrology". This committee, formed in 1923, sought accreditation for spa-related therapies and skills. Later it was perpetuated in the Medical Committee of the BSF although the Federation remained essentially a grouping of resort's tourism interests, rather than a medical fraternity. Picture - The handbook of the BSF came in two editions in between the wars. The first red (c.1924) and the second blue (c.1930). By the early 1930s Fortescue Fox had decided to redirect his energies on a broader front. This may have been the first manifestation of political unrest and infighting within the BSF that was to jeopardise its activities, even into the 1990s. At one point the BSF was described as "a preponderance of local authorities who provided the bulk of the membership, providing councillors who were only interested in puffing their egos". Dr Fox went on to edit British Health Resorts the journal of the British Health Resorts Association, published several times in the 1930s. He died on the 15th June 1940 in London. At the time he had a London address in Devonshire Place and a country residence, Elms Farm House in Sussex. The Association continued to publish it's British Health Resorts guide after World War II, the last one known being 1950. At first called the "Wintering in England Movement" the Association formation in the 1930s was timely as the depression curtailed foreign holidays. Meanwhile the BSF continued its promotion of the medical aspects of spas. In May 1930 a scheme was launched for members of The Ancient Order of Foresters to attend Spas for treatment of rheumatism. The British Spas Federation initiated the scheme that was aimed at Friendly Societies affiliated to the National Conference of Friendly Societies. The arrangement for patients included board and accommodation for 35 shillings a week (1 pound 75 pence) and medical services for 7 shillings a week (35 pence). Even these charges could be defrayed if "Sick and Funeral Funds" were solvent. The following year there was an announcement that the British Medical Association had approved the treatment of Friendly Society patients at spas. About this time W J Leist of Leamington Spa took over as Secretary replacing J E Boddington. Before World War II (1939-1945) the BSF was faced with yet another challenge. The Royal Commission on National Health Insurance did not see spa treatments as a statutory benefit in spite of petitioning by the BSF. The advent of the National Health Service (NHS) after World War II confirmed that the BSF had failed to achieve its full objectives. One of the stalwarts who kept the BSF in the limelight in the post war years of the 1940s and 50s was Dr George D Kersley OBE. (1906 - 1993) A Physician of the Royal National and Royal United Hospitals at Bath and European President and International Vice President of the League against Rheumatism as well as 751st Mayor of Bath. Dr Kersley was an active advocate of the water cure to combat rheumatic complaints and sought to introduce specialist treatments at the traditional British Spas. He was the Honorary Secretary of the Committee for the Study of Medical Hydrology in the 1920s and later the Chairman of the BSF Medical Committee for many years following World War II. His life's work is recorded in one of many of his works "The Three R's, Rheumatism, Rehabilitation, Research as viewed from Bath" published in the early 1980s. After the 1950s, the Federation continued its activities and the Government of the day was persuaded to allow the newly created Hospital Boards to contract for spa treatments with their local private spas. The new National Health Service saw the BMA reducing its input into the Federation, but the remaining local authority members kept the Federation in being, waiting for a change in the socio-economic climate to expand activities. By the 1960s many of the National Health Hospitals had developed their own hydro-therapy pools and professional physio-therapy units, with the effect that one by one, the Hospital Boards cancelled their contracts with the private spa clinics. In spite of lack of support from central government and dwindling membership, the eight spas of the BSF in 1963 (Bath, Buxton, Cheltenham, Droitwich, Harrogate, Leamington, Llandrindod and Woodhall) gave about 300,000 treatments per annum, ninety percent of which were under the NHS. This number was in decline and even the surviving resorts, lacking capital investment and innovation, were planning on discontinuing their facilities. The BSF approached what was probably its darkest hour with a few dedicated members such as Secretary John Nunn of Bath maintaining any continuity. Royal Leamington Spa was the last of the great British Spas to remain under contract with the NHS. 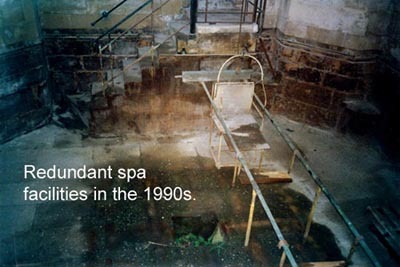 The spas in Great Britain generally became dormant until the advent of the re-opening of the Brine Spa in Droitwich in 1985. During the late 1970s, the British Tourist Authority carried out two missions with the Federation's representatives to the Continent of Europe, examining the operation of their spas, culminating in a conference held at Bath in 1979. 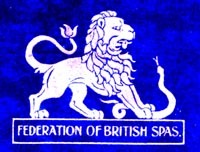 The British Spas Federation, encouraged by these moves, regrouped under a new constitution, attracted more members and resumed its promotional activities. A combination of blind faith and dogged determination are probably the elements that enabled the BSF to survive through to the 1980s, ultimately to rise from the ashes as the legendary phoenix. It was due to the efforts of the late Earl Spencer and particularly Raine, Countess Spencer, a main board member of the British Tourist Authority that the BSF was reconstituted and a spas committee was formed by the British Tourist Authority under the leadership of the Countess Spencer. On the 19th January 1991 the BSF became a limited company. 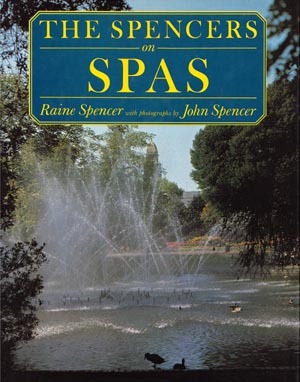 The Spencers of Althorp were actively involved with a number of tourism and heritage initiatives including the book Spencers on Spas, which was published in 1982, glorifying spa architecture. It was to have an unexpected impact on modern British architecture because of the infamous "carbuncles" quote that Prince Charles subsequently applied so memorably to the proposed extension to the National Gallery (p14). Althorp was of course the family home of the late Diana, Princess of Wales. The Continental Spas prospered as always, yet the traditional British Spa Resorts had turned their back on spa treatments and played around with spa heritage as a possible tourism product. Their run down pre-war facilities were rejected by both the Health Service and the public at large. The exception was Droitwich, which in 1985 built a modern brine baths treatment centre attached to a new private hospital. The then Secretary of the BSF, Colin Garrett, was one of the dynamos that drove the project to fruition. Colin served the BSF for a decade or more as Secretary. Kathy Denbigh's book 100 British Spas (1981) however quietly started to arouse visitor interest in these defunct mineral water healing resorts and the mineral water bottling industry enjoyed a revival in the 1980s. The BSF under the leadership of Ian McCrae (Strathpeffer), then Laurie Coombes (Bath) and later Marjorie Lennox Smith (Llandrindod), in conjunction with local efforts at the old resorts, sought to halt the decimation of the spa heritage and jump start the spas into reinstating their treatments, albeit in a modern context. Health resorts had not disappeared however. In the 1970s a new description had appeared: the "Health Farm". Attracting personal disposable income these resorts took over from defunct spa towns offering a combination of leisure and health therapies. The Brine Spa at Droitwich was owned by a local authority (Wychavon District Council) in membership of the Federation, and its feasibility studies showed that spa treatments were again in demand in the UK. To that end it entered into a joint venture scheme with the private sector and a brand new private hospital and spa brine baths was built. It was opened to the public by the Federation's patrons, the Earl and Countess Spencer, in October 1985. Picture above - Droitwich Brine Baths, pioneering a new era of mineral water cure. 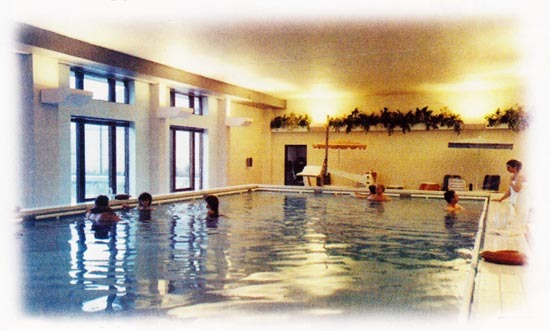 In 1990, over 150,000 members of the public used the Brine Spa at Droitwich for leisure purposes. The private hospital generated a reputation for its knee and joint clinic to such an extent that in January 1992, a 2.5m pound extension to the spa hospital was opened so that further treatments could be carried out in this medical area. The private hospital carried out clinical studies to evaluate the reduction of post-operative trauma in the use of the brine pool for hydrotherapy. The British Spas Federation, recognising that there was a resurgence of interest in the spa field, agreed a "Spas 2000" policy, since adopted by all of its members. In essence the policy stated that each member would attract investment to take place within its local infrastructure by creating an atmosphere or climate whereby the private sector is encouraged to have trust and confidence in re-investing in clinics and spa treatment centres. The policy also sought to ensure that the "waters" were laid on for the use of the public; hotel redevelopments to include spa facilities and members would negotiate with developers of new hotels to ensure that spa facilities were included in the design at the outset. 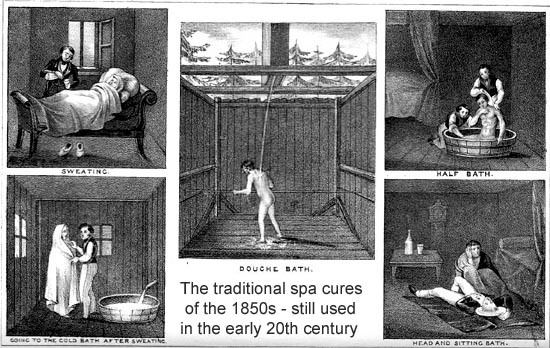 Members of the Federation had seen the success of the Brine Baths at Droitwich Spa and had taken the lead given by the "Spas 2000" policy to heart. 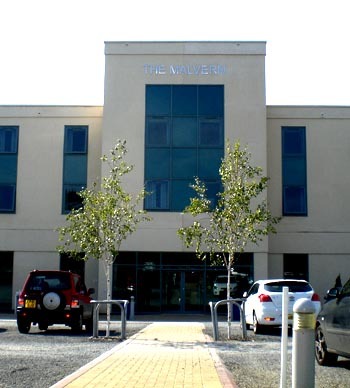 Schemes were then afoot for a medical spa with leisure facilities at Bath, a totally refurbished spa treatment centre at Royal Leamington Spa and the refurbishment of the old hydro at Matlock Bath, with both medical and leisure facilities built into a first class hotel - all using the natural thermal waters. When its contract with the NHS ended in December 1990, the treatment centre at Royal Leamington Spa had been carrying out 65,000 hydrotherapy and other spa treatments a year on behalf of the NHS. Llandrindod Wells, in Wales joined the Euro Spa Project developed by the EEC so that it could gather sufficient information to plan its future spas strategy. The private sector was also active in the spas field. A 9m pound spa opened at Hoar Cross Hall in Staffordshire in early April 1991; the Turnberry Hotel in Ayrshire was redeveloped in a 19.5m pound conversion as a major spa centre. A number of spas opened in Britain during the next few years. The biggest financed by the Balmoral International Group sought to revive the Federation member Harrogate. Harrogate had recently refurbished its Turkish Baths and had a number of other hotels with spa facilities, 36 spa wells in public gardens, and welcomed this interest by the Balmoral Group, which it saw as an expression of trust and confidence in the future for British Spas. Whilst France has 42 centres for Thalassotherapy, Britain's first dedicated Thalassotherapy centre was scheduled to open in Torquay, on Britain's Devon coast in 1993. The developers said that it is the first of five such centres that it intended to open in the UK. The Federation acted as advisor to the majority of projects in the UK during the 1990s, either direct with the developers or through their consultants. For example the Federation acted as advisors to Trefrew Wells in the redevelopment of that spa and its medicinal water potential. The German Government licensed this water for medical purposes in 1992. 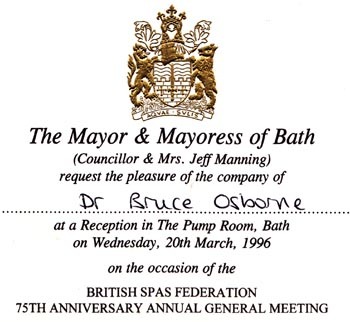 The British Spas Federation celebrated its 75th anniversary in 1996, heralding a new wave of activities. In 1997 the BSF first joined forces with the University of Sussex to run a Spas and Mineral Waters Seminar over two days at Brighton. This became a regular annual event with weekends in Bath (1998) and Harrogate (2000). The Continental connection was enlivened with the BSF being a founder member of ESPA the European Spas Association. In 1999, the Spas Research Fellowship, in conjunction with the BSF, published Llandrindod Wells and Droitwich Spa the first two of a new series of spa guides. Kathy Denbigh followed these in 2000 with Harrogate the Yorkshire Spa, in the same series. By the year 2000 the industry had turned a corner with the advent of www.thespasdirectory.com web site and the launch of two spa industry journals. In the UK the new born British International Spa Association was starting to become established as a trade body with truly international ambitions, reflecting the rapid spread of the new spa culture world wide. The objectives of training and accreditation dovetailed well with the Spas Research Fellowship interests in information collection, processing and dissemination and the two bodies started working together, becoming a considerable force within the industry. Large numbers of spa establishments had opened and the public were using them in ever increasing numbers again. Picture left - Spa Plus, the first new publication for the industry, launched July 2000, it ran to 24 bi-monthly editions. In its latter years the BSF was chaired by Paul Simons of Bath, a heritage spa location that had the distinction of orchestrating the development of a major world-class flagship spa facility in the centre of the city. It planned to use the famous thermal waters that for many years had run to waste. The project eventually opened in 2006 in the city centre but the treatments there became very much orientated to pleasure and leisure, reflecting the change of positioning of the 21st century spas in Britain. In spite of the activity within the industry and the efforts of its officers, the BSF, with its part time administrative arrangements and core membership primarily of Local Authorities, found it difficult to maintain its membership and sponsorship, which were its principal sources of income. What was required was a restructuring in view of the expanding private sector leisure and pleasure spas. In March 2004 it was finally announced that the BSF would close its doors for the last time. The residual membership and assetts of the BSF would be integrated with those of the European chapter of ISPA, which was similarly in difficulties to form a new all encompassing trade body to be known as the Spa Business Association. SpaBA targeted the by then flourishing private spa sector and suppliers as potential members. So ended an era that originated in the late 19th century. It is interesting to speculate what Fortesque Fox's thoughts would have been in 2004, had he been alive. Spas had moved from a layer of orthodox health care provision using mineral waters to one of stay healthy leisure and pleasure. The industry was booming and the momentum created by the BSF rapidly spread world wide. By the second decade of the twenty first century it became apparent that mineral water based spa therapies and cures were a thing of the past. Malvern, as a result of the efforts of two people, Cora Weaver and Bruce Osborne in the early 1990s, had restyled the traditional Malvern Waters to become a tourist attraction for those who sought to explore the springs and wells throughout the Malvern Hills. Other historic spa towns like Bath and Buxton promoted spa heritage to economic advantage. The loss of the mineral water therapies and cure however continued to haunt those who witnessed the transition. Roger Rolls' book, Diseased, Douched and Doctored, published in 2012 draws the reader's attention to lost opportunities, particularly with rheumatic complaints, that water therapies might continue to have a role in ameliorating. As mineral water based spa therapies disappear from our consciousness, the success of spa health and leisure will be a fitting memorial to all those who over the years have given so much to promote spa health in the UK. Former Vice President, British International Spas Association. Former Chairman, British Natural Mineral Water Association.